It's a special day for Jeep fans. 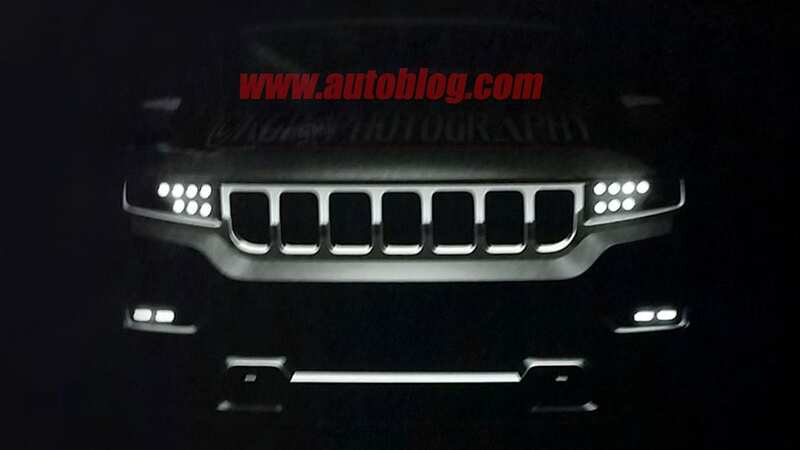 Thanks to the same dealer meeting leak that gave us a look at the 2018 Jeep Wrangler JL, here is our first glimpse of the new Grand Wagoneer. When it arrives for 2019, this three-row crossover SUV will be the top model in Jeep's range. 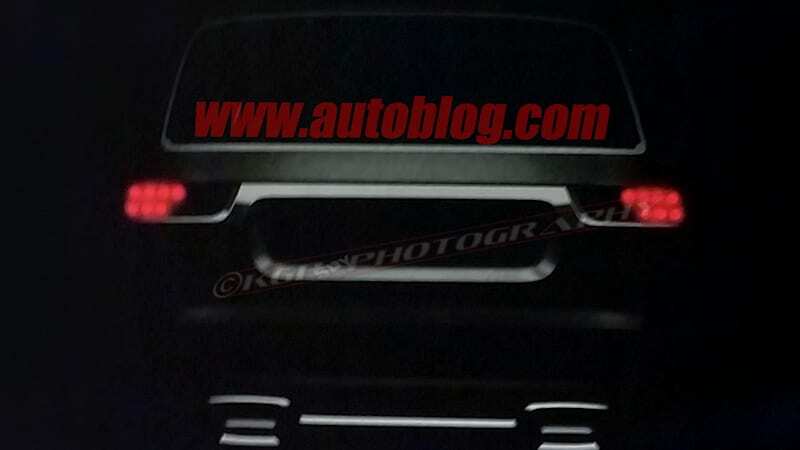 We knew the Grand Wagoneer would be expensive – Jeep CEO Mike Manley said not to rule out prices upwards of $130,000 for this Range Rover fighter – but now we know it looks like it wants to pick an actual fight with its competitors. What's visible of the front and rear styling is very reminiscent of the current Grand Cherokee, but it's muscled up a bit and gets a set of sinister seven-element headlights. 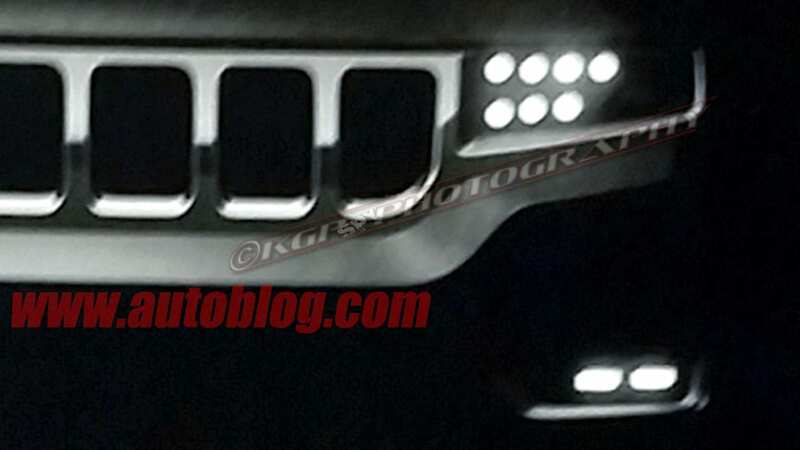 The seven-light theme is carried to the rear as well, and we have a feeling the number is a not-so-subtle reference to the seven-slot grille that all Jeeps wear. That said, here the grille is a short, wide-mouth affair that is a bit of a departure from those of other models. 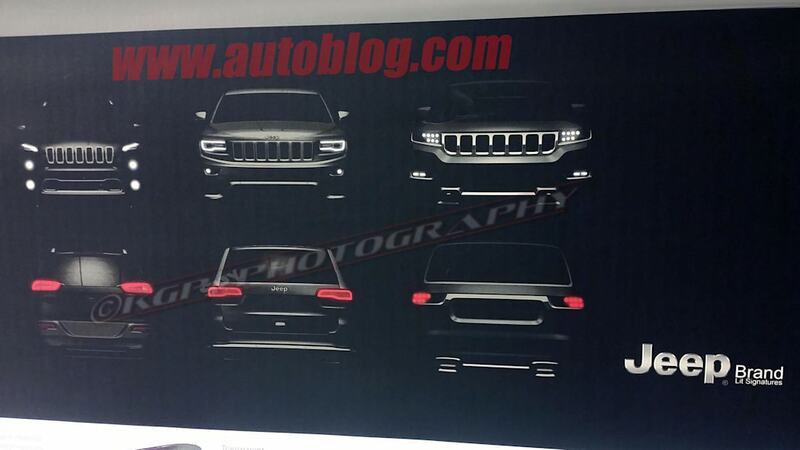 And there's a lot of brightwork in these renderings, not just on the grille but for similar pieces that connect the exhaust tips in the rear and tow-hook surrounds up front. 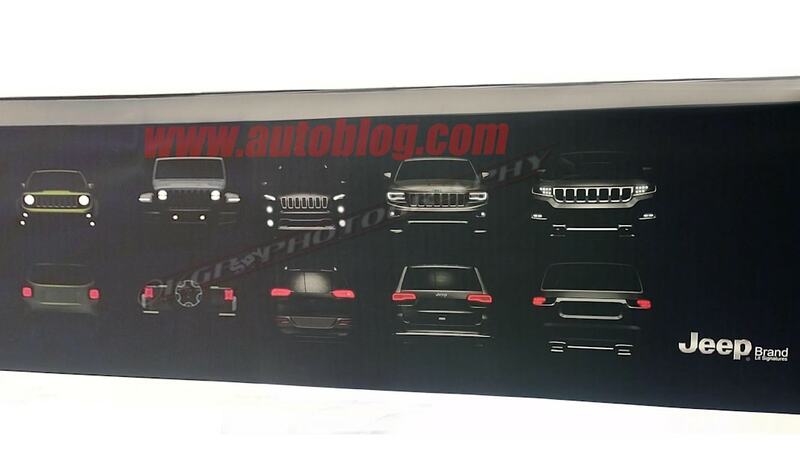 Either by design or engineering, the Grand Wagoneer also looks wider than the two-row Grand Cherokee. 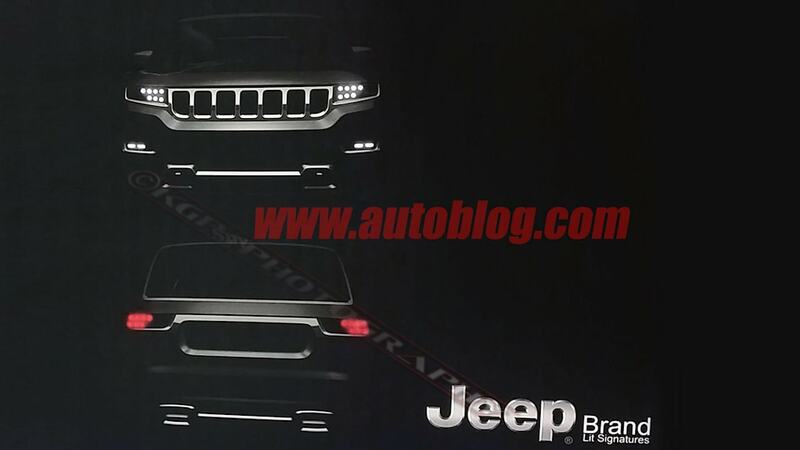 The Grand Wagoneer will be about the size of the Dodge Durango three-row crossover and will be based on the platform used by the next-generation Grand Cherokee. 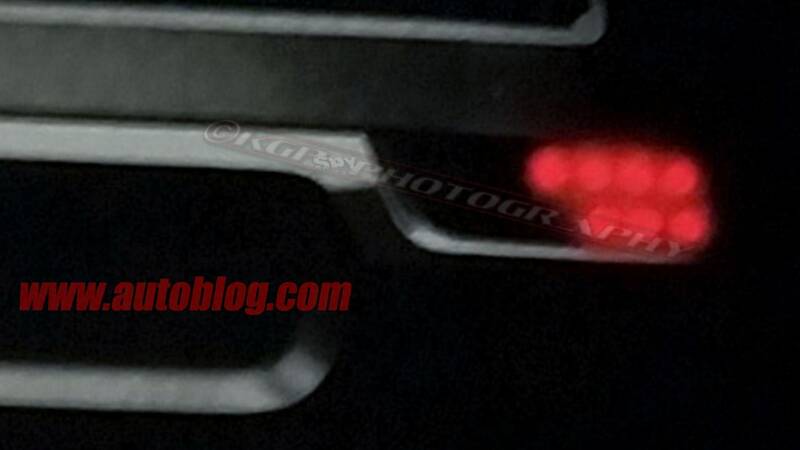 The GC and Durango currently share a platform based on one used by Mercedes for its large SUVs, and it is not yet known whether the new Jeeps will use an evolution of that platform or something new. Hemi V8 and diesel and gas V6 engines are the likely powertrain options, and we wouldn't be surprised to see a Hellcat-powered version of this mean-looking luxury SUV at some point. Or at least we can hope.